This is from the dude that brought you the epic film “I Believe I Can Fly : Flight of the Frenchies”. 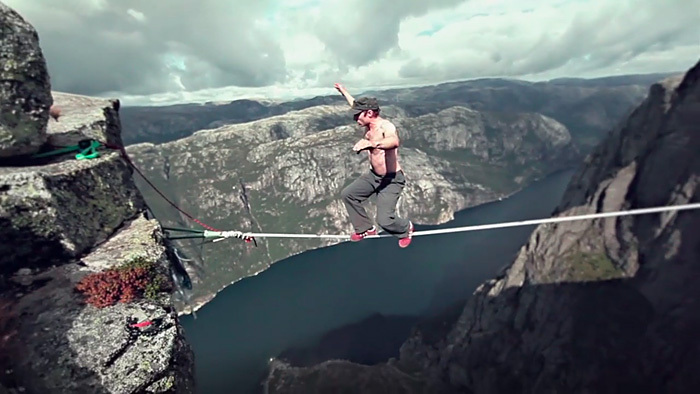 This entry was posted in Slacklining and tagged 25mm, Bernard Witz, Epic Photo, Flight of the Frenchies, free solo, highlining, I Believe I Can Fly, Julien Millot, one inch, Seb Montaz, Slack.Fr, slacklife, slackline, slacklining, video, Vimeo, What is a free man by harrycloudfoot. Bookmark the permalink.